Originally known as posterior tibial tendon dysfunction or insufficiency, adult-acquired flatfoot deformity encompasses a wide range of deformities. These deformities vary in location, severity, and rate of progression. Establishing a diagnosis as early as possible is one of the most important factors in treatment. Prompt early, aggressive nonsurgical management is important. A patient in whom such treatment fails should strongly consider surgical correction to avoid worsening of the deformity. 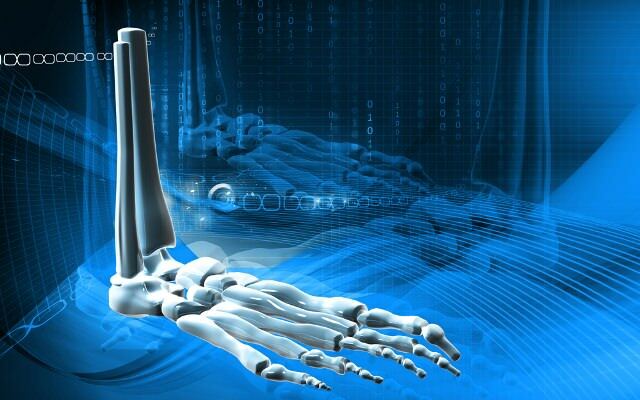 In all four stages of deformity, the goal of surgery is to achieve proper alignment and maintain as much flexibility as possible in the foot and ankle complex. However, controversy remains as to how to manage flexible deformities, especially those that are severe. Posterior tibial tendon dysfunction is the most common cause of acquired adult flatfoot. Sometimes this can be a result of specific trauma, but usually the tendon becomes injured from wear and tear over time. This is more prevalent in individuals with an inherited flat foot but excessive weight, age, and level of activity are also contributing factors. Patients will usually describe their initial symptoms as “ankle pain”, as the PT Tendon becomes painful around the inside of the ankle joint. The pain will become more intense as the foot flattens out, due to the continued stretching and tearing of the PT Tendon. As the arches continue to fall, and pronation increases, the heel bone (Calcaneus) tilts into a position where it pinches against the ankle bone (Fibula), causing pain on both the inside and outside of the ankle. As the foot spends increased time in a flattened, or deformed position, Arthritis can begin to affect the joints of the foot, causing additional pain. Looking at the patient when they stand will usually demonstrate a flatfoot deformity (marked flattening of the medial longitudinal arch). The front part of the foot (forefoot) is often splayed out to the side. This leads to the presence of a ?too many toes? sign. This sign is present when the toes can be seen from directly behind the patient. The gait is often somewhat flatfooted as the patient has the dysfunctional posterior tibial tendon can no longer stabilize the arch of the foot. The physician?s touch will often demonstrate tenderness and sometimes swelling over the inside of the ankle just below the bony prominence (the medial malleolus). There may also be pain in the outside aspect of the ankle. This pain originates from impingement or compression of two tendons between the outside ankle bone (fibula) and the heel bone (calcaneus) when the patient is standing. Because of the progressive nature of PTTD, early treatment is advised. If treated early enough, your symptoms may resolve without the need for surgery and progression of your condition can be arrested. In contrast, untreated PTTD could leave you with an extremely flat foot, painful arthritis in the foot and ankle, and increasing limitations on walking, running, or other activities. In many cases of PTTD, treatment can begin with non-surgical approaches that may include orthotic devices or bracing. To give your arch the support it needs, your foot and ankle surgeon may provide you with an ankle brace or a custom orthotic device that fits into the shoe. Immobilization. Sometimes a short-leg cast or boot is worn to immobilize the foot and allow the tendon to heal, or you may need to completely avoid all weight-bearing for a while. Physical therapy. Ultrasound therapy and exercises may help rehabilitate the tendon and muscle following immobilization. Medications. Nonsteroidal anti-inflammatory drugs (NSAIDs), such as ibuprofen, help reduce the pain and inflammation. Shoe modifications. Your foot and ankle surgeon may advise changes to make with your shoes and may provide special inserts designed to improve arch support. In cases of PTTD that have progressed substantially or have failed to improve with non-surgical treatment, surgery may be required. For some advanced cases, surgery may be the only option. Symptomatic flexible flatfoot conditions are common entities in both the adolescent and adult populations. Ligamentous laxity and equinus play a significant role in most adolescent deformities. Posterior tibial tendon dysfunction (PTTD) is the most common cause of adult acquired flatfoot. One should consider surgical treatment for patients who have failed nonoperative therapy and have advancing symptoms and deformities that significantly interfere with the functional demands of daily life. Isolated Joint Fusion. This technique is used for well reducible flat foot by limiting motion at one or two joints that are usually arthritic. The Evans Anterior Calcaneal Osteotomy. This is indicated for late stage II adult acquired flatfoot and the flexible adolescent flatfoot. This procedure will address midtarsal instability, restore the medial longitudinal arch and reduce mild hind foot valgus. The Posterior Calcaneal Displacement Osteotomy (PCDO). This technique is indicated for late stage I and early stage II PTTD with reducible Calcaneal valgus. This is often combined with a tendon transfer. A PCDO is also indicated as an adjunctive procedure in the surgical reconstruction of the severe flexible adolescent flatfoot. Soft tissue procedure. On their own these are not very effective but in conjunction with an osseous procedure, soft tissue procedures can produce good outcome. Common ones are tendon and capsular repair, tendon lengthening and transfer procedures. Flat foot correction requires lengthy post operative period and a lot of patience. Your foot may need surgery but you might simply not have the time or endurance to go through the rehab phase of this type of surgery. We will discuss these and type of procedures necessary for your surgery in length before we go further with any type of intervention.